The Transtheoretical Model (TTM) takes place every day in everyone’s life. It’s up to you, though, to move up the ladder on that model and make a healthy lifestyle change. The TTM is based on six stages. There is another stage that doesn’t appear on the model that people talk about, but we’ll get to that later. The stages of the TTM in order are the following. This stage is where someone doesn’t see themselves changing within the next six months. Nothing will motivate the individual to become healthy at this point. This becomes a problem because some of these people are underinformed or not informed of what risk factors they are carrying. These people are just unmotivated and very resistant about talking or doing anything else that will essentially help increase their quality of life. Contemplation is where individuals are ready to start exercising and realize that they need to make a change in their habits. These people want to take charge of the situation within the next six months because they understand the benefits of healthy living and that they need to decrease their risk factors in order to increase their quality of life. With that said, people start to do some research to figure out the costs involved in becoming healthy. A fair amount of people tend to stay in this stage due to the costs involved. These people are individuals who don’t have a lot of money to spare. So people tend to get stuck and go into what is called chronic contemplation. Preparation is the stage in which people will be ready to start making a change within a month. These people are individuals who have purchased workout equipment, joined a gym, talked to or made an appointment with their physician, and have bought other necessary essentials to get off to a great start. These individuals are very serious about change and take the right steps to be well prepared for it. The action stage is where people have made several changes to their lifestyle within the last six months that have significantly reduced the risks of disease. This stage is one of the most important stages because six months can determine whether an individual wants to achieve more, or it can be that breaking point in which that person decides to quit altogether. This is known as relapse. Relapse is a stage that anyone could hit. People will stop what they’re trying to achieve because their mindset is that they’re missing what they used to have, and what they’re doing is taking up too much time or is becoming difficult. In this case, exercising got too hard to complete. This usually happens within the first three months. I myself have seen this occur when something unfortunate happens in someone’s life. These unfortunate events include loss of a job, loss of a loved one, not enough time in the day, exercise is not motivating anymore, and so on. Of course those things make you unmotivated to do anything. I get it, but when quitting anything, there are consequences. When losing a job, you’re out of a job and have no income. With no motivation, you tend to eat more and exercise less. Relapse can also happen after the maintenance stage. Someone might just want to take a break after getting into great shape, and then they’ll slowly go back to where they started. Maintenance is where people have made a lot of changes in their lifestyle and are working even harder to maintain what they’ve been doing so that they don’t end up relapsing. People in the action stage are far more likely to relapse than someone in maintenance. The maintenance phase can last an estimated six months to five years. 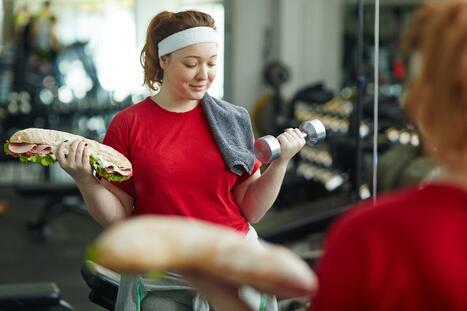 What people tend to do within that time is build up more confidence in order to make sure they are consistent with exercise and keeping away from poor habits. So although the action stage is the more likely time for someone to relapse, it’s still important for people to realize that a single craving and action to cater to that craving is more likely to happen at 12 months rather than five years. This stage is a good stage in which to be. Termination is where someone is 100 percent into what they are doing and they don’t want to change because of the benefits of what they’re getting out of their choices in life. They are driven and confident individuals who don’t want to go back to what they once had where nothing motivated them (the Precontemplation stage). It’s up to you what you want to do with your life, but remember that one decision can change everything. Make your weaknesses strengths, get involved in your community, exercise with a friend or spouse to help you stay motivated, and talk to your doctor, a counselor and a personal trainer to help get you on the right track to a better life. Start the New Year right and set some goals and get started! New to our blog? Subscribe and get them straight to your inbox. 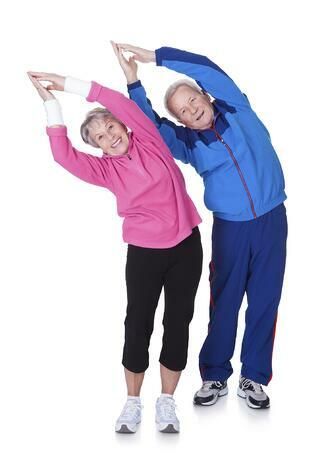 Group exercise classes are one of the top activities in senior living communities nowadays. With the increasing number of activities provided on community calendars, having a good group exercise program significantly impacts the overall resident well-being as they participate in their daily activities. The initial spark of having a new group fitness class promotes a tremendous buzz throughout the community, and the new activity on the calendar generates a lot of popularity. Participation is high, and residents look forward to this new class to see what’s in store for them at the next session. A month or so down the road, however, you may notice that the residents who were highly motivated to attend a particular exercise class have begun to feel less interested in the routine, potentially causing a decrease in participation. When people are acclimated to an established exercise routine, there may come a point where they feel tired of doing the same exercises over and over again, or don’t feel challenged enough in the journey to an improved quality of life. If you begin to notice these things in your exercise programs, it might be time to make some minor adjustments. However, that doesn’t mean that you have to turn your group exercise program on its head and start from scratch. Spice up group fitness routines for seniors and keep them interested. As an exercise instructor who thinks about these things on a daily basis, one of my primary goals is to encourage participation in our group exercise classes on a regular basis, regardless of their skill level. I actively think of different ways of keeping residents enthusiastic about our classes, while still maintaining their overall purpose. While residents want to exercise safely, they also want to be appropriately challenged so that they don’t lose the benefit of maintaining an active lifestyle. Following are three different strategies that I have used in the past to keep residents interested in classes. 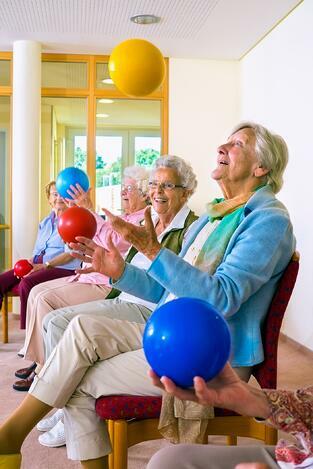 Adding different exercises into your routines will help keep your residents interested, and can increase cognition as they perform exercises that focus on balance and hand-eye coordination. A good way to map this out is to try one new exercise per class, and see how your residents respond to it. If they find enjoyment in the sequence, you are on the right track! Varying your group exercise sequences every month or two can go a long way in maintaining resident interest. Another effective strategy that helps in mixing up your routines is to have two or three different formats for one particular class, and to rotate through those formats. I have always found that having a couple routines that I could rotate through on a weekly or monthly basis keeps people more engaged. Whether it’s a choreographed mix-tape that has a variety of upbeat songs for low-impact aerobic routines, or a Big Band CD that is used simply as a background filler for the class, you will notice an immediate increase in residents’ mood in the class, and in some cases they might even get into the groove as the music is playing in class. Having a mixture of upbeat tunes along with songs requested by your residents will keep the excitement going in class. Music can also serve as a motivational factor for residents when they are participating in classes, because exercising to music can have psychological benefits that include improved cognition, reduced anxiety, and many more. Most people think of group exercise as performing certain routines in a repetitive motion for a certain amount of weight, repetitions, and sets. While in certain class formats that may work, it does not always have to be that way. For most of my exercise classes, I mainly focus on exercises that mirror our activities of daily living (ADLs), and also include sequences that incorporate the mind/body connection. The National Institute for Health (NIH) has an extensive list of various exercises that are both interactive, and ways to focus the class on functionality. Nontraditional balance exercises such as ankle spelling and ball tosses will keep your members guessing both physically and cognitively. Make sure to use these strategies to spice up your senior living community exercise classes! Keep an open mind when trying out new things in your classes; see what works, and spice things up! Start with evaluating your balance classes and maximize your Balance Program by downloading our whitepaper!